The motion of heavenly bodies like moon, sun and other planetary bodies has been studied since times immemorial. 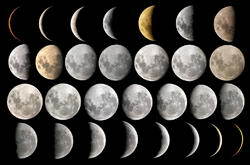 The phases of moon have enabled astrologers to decipher various mysteries about the future of mankind. Calendar based on the phases of moon has immense potential in predicting your romantic life, health, financial prosperity and other human relationships. 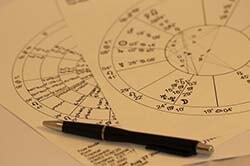 A moon sign chart provides the information about the current position of the moon. 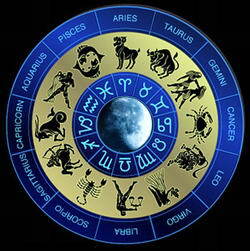 The moon stays in every zodiac sign for a particular number of days which is generally a period of two or three days. Among all the planets in the horoscope moon is the fastest moving planet and has a complicated path. So keeping a track of this fast moving planet is a very difficult task. To follow this planet moon sign charts are very useful. Moon sign is determined by the position of moon at the time of your birth. Like sun sign, your moon sign also affects your personality. Moon sign along with sun sign will tell you unconscious behaviour and personality. Also the current position of moon also has a great influence on moods and expressions. Many people know that astrology is a tool to define the processes and energies that rule the entire Universe. Other people believe that it is a method to observe and follow planets and other celestial bodies and to understand the nature of space energy. As a result, people created and developed a special system that transforms this energy into symbols and helps to efficiently arrange everyday life.